Film Employees Federation of South India (FEFSI) president R.K. Selvamani on Saturday announced that the union would go on strike from August 1st, 2017 if the Tamil Film Producers Council refuses to give them the wages that they have demanded. Selvamani also said that the filmmakers should only use workers who are registered with the Film Employees Federation of South India (FEFSI) and no non-registered members should be employed for the shootings of films. Speaking with the media, R.K.Selvamani said, “The FEFSI has nearly 25,000 members and it is unfair if the council refuses to pay the wages which have already been agreed upon.” Selvamani also added that their main demand is that only registered members of the federation should be employed for film shootings. 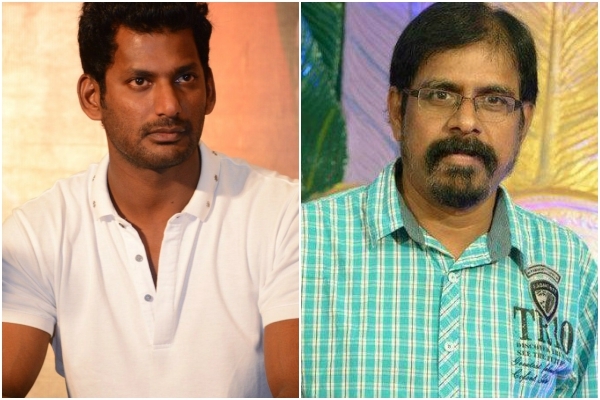 Actor Vishal, President of the Tamil Films Producers’ Council, responded to the strike and said that there would no change in their decision and the shootings will proceed as usual. The TFPC had, earlier, stated that producers can employ workers who had agreed to the wages offered by them and not to employ workers who disrupt the shootings. The producers’ council had released a statement responding to the strike which said that they wil not work with technicians’ union until the loses occurred to the makers of Billa Pandi because of technicians stalling their work are compensated for. “The technicians’ union should compensate for the loss incurred and only then will we work with the union. Until this issue is resolved, we do not wish to proceed with the discussions related to wages,” the statement read. I love the news on Pinkvilla!